When she was a young girl attending Catholic school, Kris Kropff would take daily piano lessons from a nun at a nearby convent. But when she hit fourth grade, she switched to saxophone. 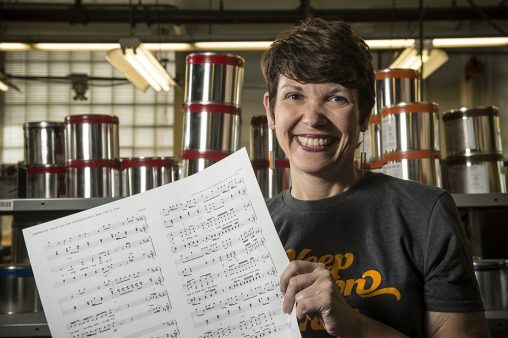 Although she was accepted into the prestigious Eastman School of Music in Rochester, New York, Kropff opted to enroll at Wright State to be near her ailing grandmother. 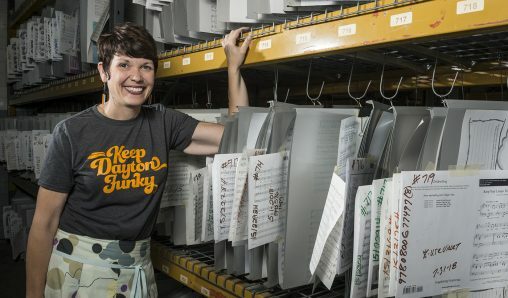 Founded in 1890, Lorenz is a fifth-generation, family-owned music publishing, printing and distribution company based in Dayton. It identifies and collects new choral compositions, prints the sheet music and sells it to churches and schools. Lorenz operates out of a five-story, red brick building it has occupied since the 1940s. 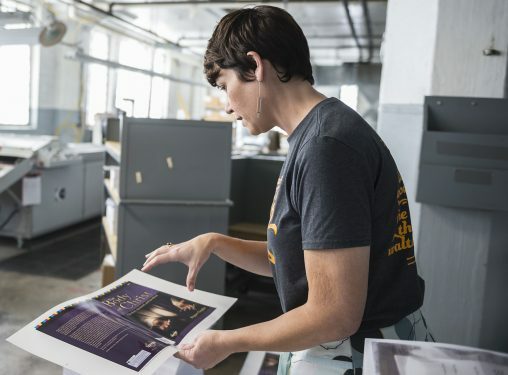 The overpowering smell of ink and the hum and clack of the printing press dominate the factory floor, which is also home to a mechanical folder, cutter, coater, stitch liner and enormous spools of paper. As a student at Wright State, Kris Kropff playing clarinet and bass clarinet in the Wind Symphony, saxophone in Jazz Band and as a reed player for university theatre productions. Kris Kropff started at the bottom, running the office copy machine and learning the business by “asking annoying questions” and challenging the way things were done. For someone who was only going to stay at Lorenz for six months, Kropff has had a pretty good ride. And Wright State had something to do with it. “Think about your college experience as the widening of a path … and taking advantage of those opportunities that I think Wright State is in a unique position to offer,” she said.